Hand-Carved Serving Spoons Review & GIVEAWAY! A semi-foodie review, I got these awesome hand-carved serving spoons for free to do a review of. And…(after the review) one of YOU lucky readers get a chance to win these spoons (a value of $65) at the giveaway posted at the end of this page! Woot!!! 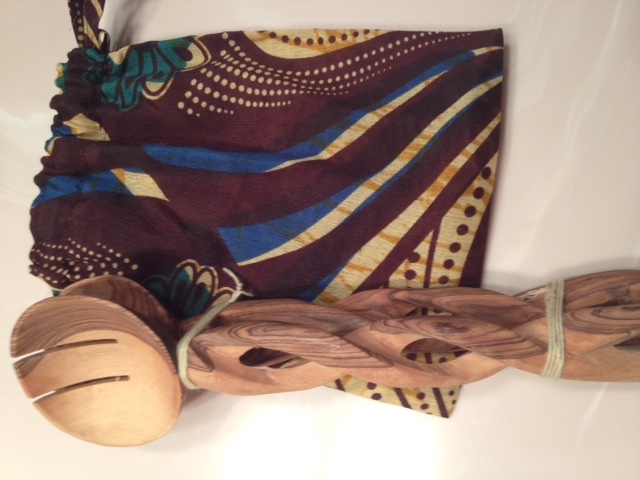 The spoons are hand carved, and came all the way from Kenya! ALL of the proceeds made from selling the spoons go to help orphans of the Kamba Tribe, that are located in Kenya. This is located in the village of Chebaiywa, Kenya, according to the tiny tag on the spoons. 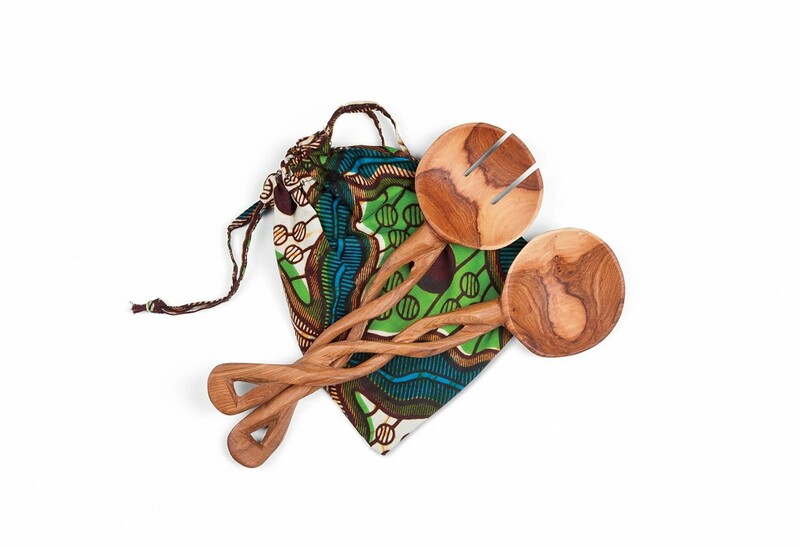 The spoons are made of olivewood, and come in a beautiful bag that was also handmade. I can’t even believe the bag was handmade, it is so perfectly done. It has a very rustic feel and the colors and designs compliment the spoons perfectly. The spoons are also a beautiful design. The second I opened the box, my roommate was jealous, and wanted a pair for her own! 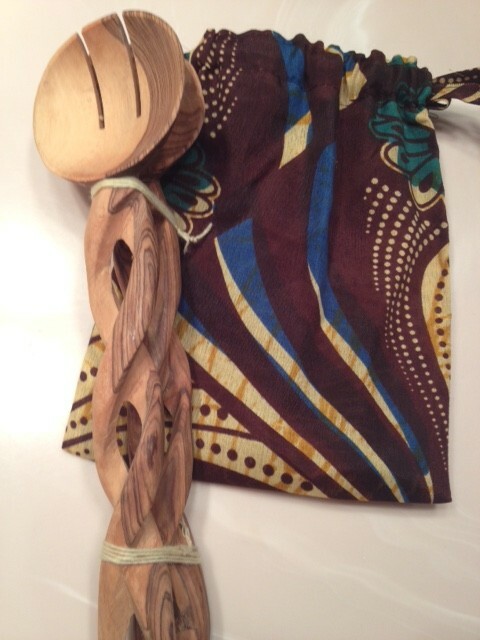 The spoons have a “braided” design for the handle, which is just so pretty, and makes it easy to hold. They are light weight, and have a very clean feel. While there are a few teeny rough edges where you can tell it was hand made, you otherwise cannot tell. It looks like it came right out of a factory, since the wood is super smooth, and carved with identical edges. Overall, I love these spoons! 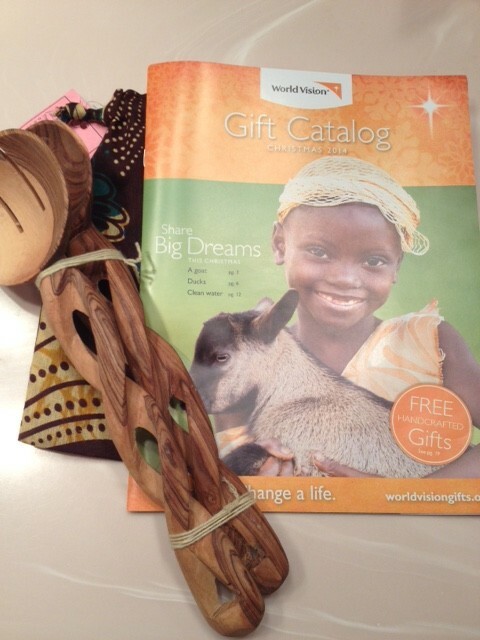 Please check out Worldvisiongifts.org if you are interested in buying these spoons or any other goodies! 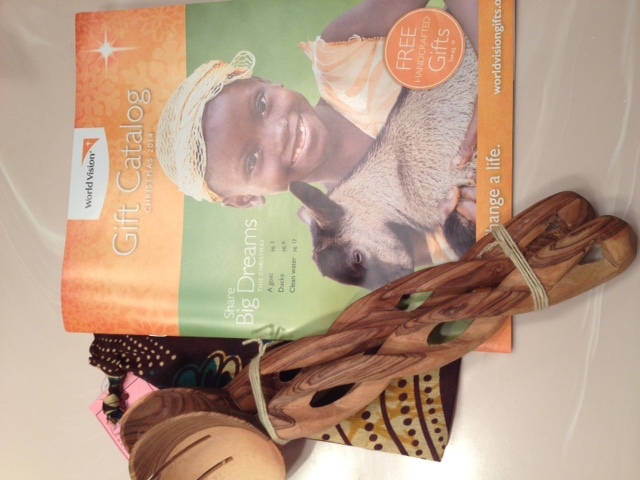 1. you must either like World Vision on facebook or please follow them on twitter (you can use hashtag #giftcatalog for more). 2. please leave me a comment saying which one you did. If you do not have either FB or Twitter, you may still enter, just please leave a comment saying so. Winner will be picked September 26th, 5 pm Eastern Time. Thanks!